Zipp's new 454 NSW Carbon Clincher is radical by design, evolutionary by nature. In the natural world, creatures are honed over generations to achieve a competitive edge within their environment. The result of this natural design process is adaptation new shapes and forms that achieve a higher degree of efficiency and control. 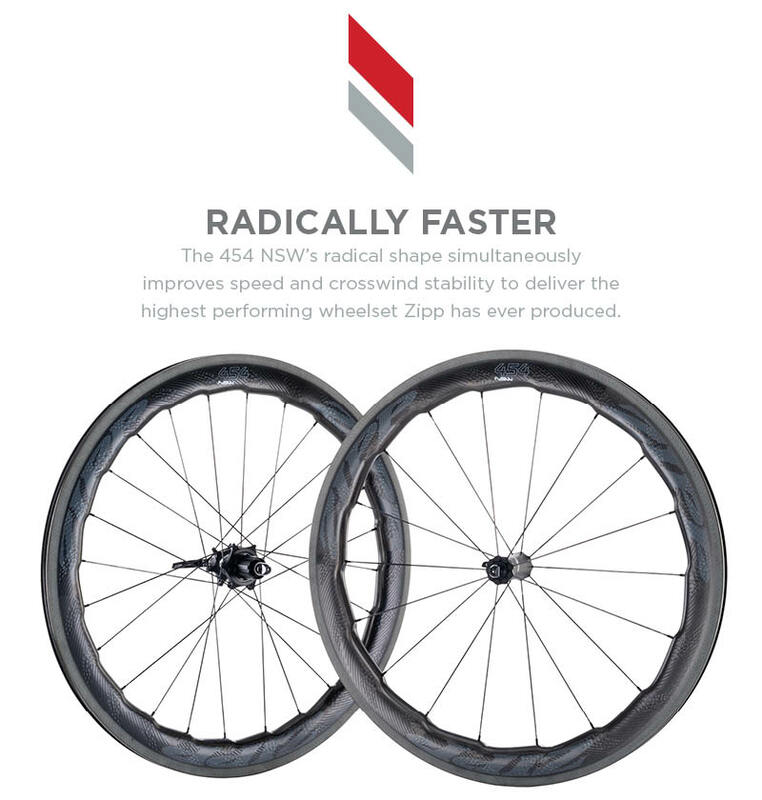 Utilizing the principles of the emerging science of biomimicry, Zipp engineers studied the environment around them for instances of how nature solved similar problems of speed, control, and efficiency for the next generation of Zipp wheels. Think of a humpback whale's fast but graceful movements thanks to the special features on the leading edge of its pectoral fins, or the unique micro texture of a shark's skin, which gives it the ability to glide effortlessly through the water. These structures inspired Zipp advanced development engineers to, for the first time, systematically apply biomimicry to solve the complex challenge of designing a wheel that reduces both aerodynamic drag and side force. Using nature as a roadmap, Zipp began the rigorous aero development process of the 454 NSW utilizing the wind tunnel, CFD, and real-world testing. The result is an undulating 53/58mm-deep rim shape that takes nature's most elegant design solutions and combines engineering precision to deliver a wheel that performs unlike any made before.